ITSM provides the rights solutions for the different IT environments and helps organisations at any stage of their infrastructure lifecycle. 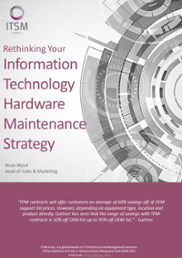 ITSM carefully analyses the customer’s requirements and needs. We provide an assessment report presenting the situation and and our recommendations. Upon client’s acceptance of our recommendations, ITSM works on the implementation of the proposed solution. It is executed by our IT experts supported by our network of top-tier logistical partners. As your process transforms, ITSM can help you ensure that your people’s skill set is up-to-date by providing your organisation with our training services. ITSM has a dedicated support team that is available 24x7, ready to answer your call, email or inquiry via our website. 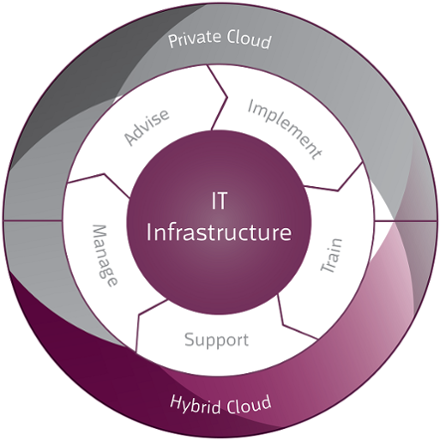 ITSM provides a wide array of expertise and services to help organisations manage their infrastructure.